1. Change the verbs on your résumé - Instead of boring words like "helped" or "created," switch the verbs to something more powerful. "Spearheaded" & "maximized" sound superior. Hopefully you already have a résumé. If not, you really need to do that. Reference 185 Powerful Verbs That Will Make Your Resume Awesome for some word inspiration. 2. Research the company - Sending a general email with your résumé won't help you stand out. Do your research on the company. Learn the basics & then some. Yep, that takes time but that could help land you an interview & possibly a job. Who is the CEO? What does the company do? Check out their social media pages to understand their everyday presence. Add some of those details into your initial query. 3. Do a mock interview - Practice your skills answering job-related questions. Take a look at 100 Potential Interview Questions & then create some answers. 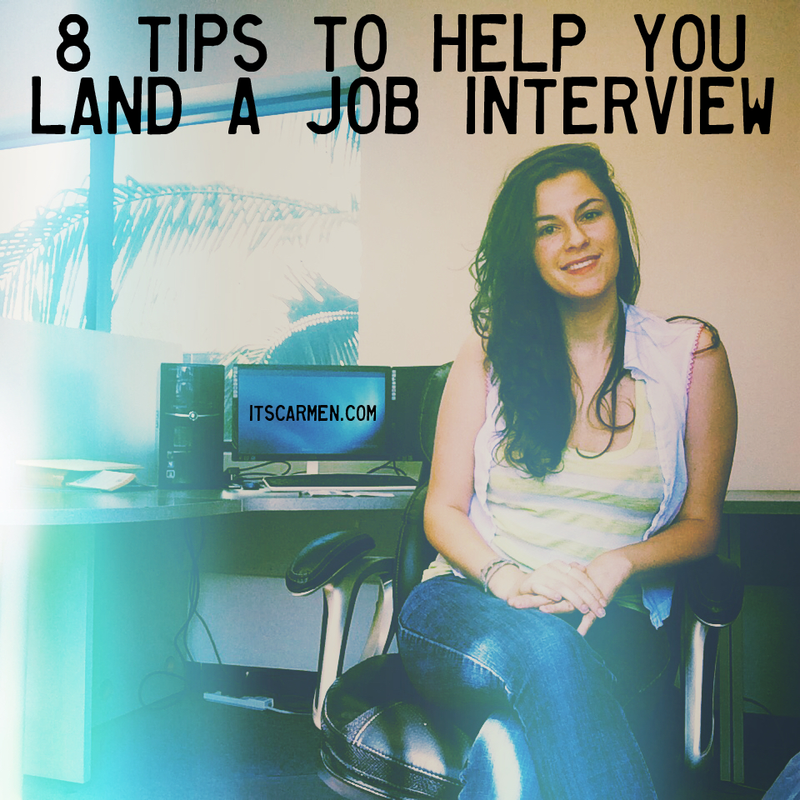 Have a friend or family member randomly pick questions for a mock interview. Do your best to answer them appropriately. Practicing can alleviate some of the stress & help you appear more put together in emails, phone conversations, & once you head to the real interview. 4. Apply, apply, apply - Cast a wide net. Don't apply to your one dream job & call it a day. Apply to many jobs & then apply to some more. Check multiple websites to view their available job options. Try CareerBuilder, Craigslist, Indeed, Monster, & even browse your own city's job boards. 5. Use your connections - Ask friends or family if they know of any gigs. Post a Facebook status with your qualifications. "Hey friends. I'm looking for a job in the social media, writing, or editing field. Please message me if you know of anything." Sometimes people are aware of things that you never thought of. Doesn't hurt to try. 6. Clean up your social media profiles - Employers will undoubtedly search for your online presence. Make sure your Facebook profile is private. You may want to temporarily make your Instagram & Twitter accounts private as well. If not, delete those crazy party Facebook photos & profanity ridden Tweets. Your would-be boss may see them & choose to interview another applicant instead. Delete, edit, or make your social media profiles private. 7. Follow up - Did you apply to a job last week & never heard anything back? Email your contact once more with a follow up. It shows perseverance & your proactive attitude. Obviously, don't hound them or be obnoxious. Inquire about the status of your application, thank them for their time, & that's it. Just one follow up email will do. 8. Try something new - If you're still having a hard time landing an interview, you should think outside the box. Do something offbeat compared to what you've been doing. Maybe you need to reformat your résumé, search for a job on foot rather than online, or redo your cover letter. Don't give up! I love these tips! #4 is especially important. When I was searching for a job in NYC I basically saturated the market with my resume. I applied for everything related to my field, even if I wasn't sure about a particular job and whether or not it was the right fit. If I was called by one of those companies, I used the interview to help practice and, you never know, what appears on paper as a not-sure-fit could be a great opportunity. I took a temp job that I was sure would only be temporary and they hired me full time after one month. Turned out to be the best job ever! These are really great tips! I'll definitely keep these in mind for next time I'm interviewing. 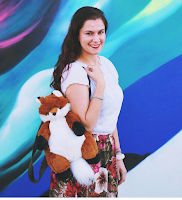 Great post, Carmen! Thanks for sharing it with us! So bookmarking this post right now. All your tips are so helpful, and I find that the first tip is extremely insightful! Words have such a powerful effect on one's perception, and using far more dynamic verbs will definitely work in favour of you! Loving the tips! I will bookmark your post for a job interview in the future. Thanks for sharing! Helpful tips! I agree, you should definitely cast a wide net and apply to many options! Really insightful post! Thanks for sharing these tips! These are great tips. I am currently beginning to apply for jobs and yes it can be tough! Im applying as we speak....ahhh its so crazy! Thanks for the tips. I haven't had a job before so I find these really helpful for when I apply! 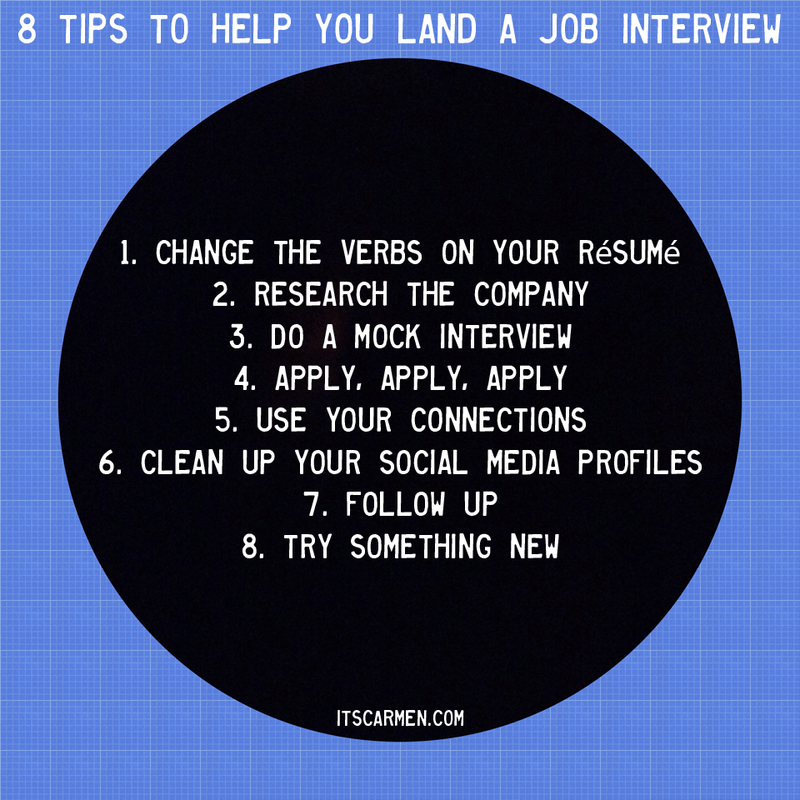 These are really great tips to ensure higher success rate for a job interview, thanks for sharing! I've found that a killer cover letter is so important! It's an opportunity to highlight why you want the job and why you think your a good fit. So many people don't put enough personality and thought into their cover letter. Pitch yourself and showcase your personality! Make sure it's free of spelling errors and grammatically perfect. Talk about your experiences. Talk about what you want to contribute to the company! These are all really great tips! I'll have to keep them in mind the next time I apply for a job. I like the one about doing something different because most of us tend to stay within what we know best. Changing it up a bit can make a difference! Love the tips. I found out first hand how important having a well-written powerful resume with an attractive lay-out is! Once I changed my boring old resume into something more contemporary and hip I suddenly landed a lot more interviews. Great tips! I find that including results oriented resume bullets are key. There are really good suggestions. The resume is super important so making the most of that will help you make a good impression! #5 is definitely a good tip. I read that 50% of jobs aren't advertised at all.